Checking My Credit Report Affects My Credit Score? Or Not? We know how important a credit score is in our everyday lives especially in our ability to take loans. Did you know it is equally important to check your credit score at regular intervals? 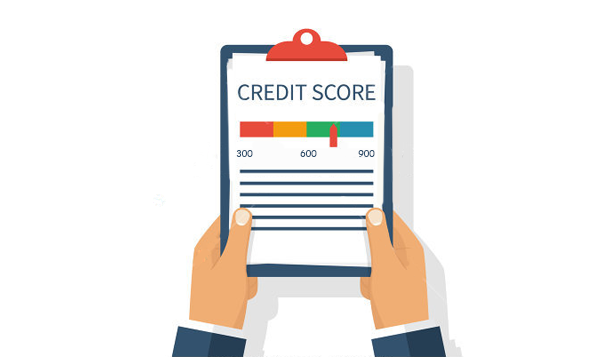 There are a number of reasons to do so – some of them are to keep a track on your credit standing and take necessary steps to improve or maintain the credit reports and credit score. While we all know that checking your credit score is important, one thing that bothers a lot of consumers is if checking their own credit report will hurt their credit scores. We are breaking down the entire process to give you a crystal-clear view. What does ‘credit report check’ or credit score check mean? A credit report check, also known as an inquiry for credit score is either done by you or by the potential lenders of loan or credit cards such as banks, NBFCs and other financial institutions. A bank checks your credit score usually when you apply for a loan or a credit card to know the creditworthiness of the applicant. Further, a bank can also check your credit history and credit score while you are a loan or card customer of the bank to monitor its portfolio of customers. A credit report check or a credit inquiry can be classified into a hard inquiry or soft inquiry. Hard inquiries occur when you apply or request for a new credit card or a new loan or a line of credit like increasing the credit limit on a card. Such inquiries leave a footprint on your credit history and show up on your credit reports. Too many hard inquiries over a short duration have a negative impact on your credit score, especially if the credit keeps getting denied. On the other hand, soft inquiries occur when an individual checks his own credit report and credit score. These are the type of inquiries that do not show on the reports, no matter how many times you check your credit report. Even if these appear on your credit report, these will never affect your credit score despite you checking five times in a single day. When you are pre-approved for a special credit card offer or personal loan, it is very likely that the Bank would have carried out a soft inquiry on its existing customer base, such as you. Banks periodically review its existing pool of customers for assessing risk of its loan portfolios and finding out good customers whom to make pre-approved loan offers. Since these are soft inquiries, you do not need to worry on any negative effect of these checks on your credit score. If you want to still keep a record of the inquiries just to stay more informed about them, CRIF can help you with the annual credit report with details of hard inquiries in your credit report. Consider your credit scores as a pie that represents your financial being. Your pie is divided into slices, each of which constitutes of different factors. One large slice is your timely payments, another is your length of credit history and yet another is total credit used. And then there is a tiny slice which represents your hard inquiries. It is essential to control your hunger and not to bite this slice. This diet won’t help you to lose weight but can definitely help you gain some points on credit score. It is essential to keep your credit on a check as it gives you an accurate position of your credit standing. To ease out the hassle of keeping a check on your credit score, you can contact CRIF. It is an RBI-approved credit information bureau that gives trusted and accurate results of the credit score. Next Next post: Planning To Buy A Car This Festive Season? Here’s a Checklist Before Signing That Car Loan!